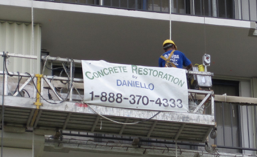 Welcome to Daniello and Associates, Inc.
Daniello and Associates, Inc. is a locally owned General Contracting company that specializes in Concrete Restoration and Waterproofing. Louis Daniello, is a state certified General Contractor, has been involved in the concrete restoration industry since 1984. Concrete deterioration is often due to system failures or construction defects, as well as environmental conditions. 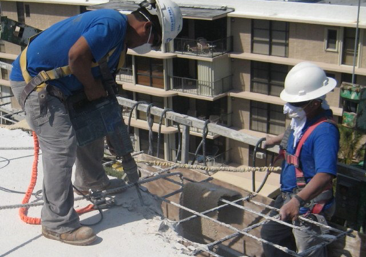 Our experienced personnel can evaluate your building’s repair needs and determine a cost- effective, quality solution to not only repair the affected areas, but also protect and beautify your structure. From concrete repair and waterproofing to decorative finishes, Daniello and Associates, Inc. can offer the quality and value that you are looking for.